Kilmainham Gaol, like any prison, has seen its fair share of inmates. 150,000 of them, in fact. But not every jail is a national monument, revered by those who love Irish history and are proud of those who served time within its walls. So what makes this prison different – why is it rooted in the pantheon of Irish iconography, with record numbers of people coming from all over the world to visit it and learn its history? Well, first, of course, is the social history that one can associate with any jail anywhere. Within its walls was incarcerated a microcosm of the world outside – murderers, rapists, robbers, fraudsters, pick-pockets, ne’er-do-wells etc. Yet that alone would not be enough to explain the attraction of this aging building. To understand that one needs to look beyond the Gaol, beyond its occupants and staff, to look at Irish history and try to understand how that has impinged on this prison and how, in return, Kilmainham Gaol influenced that history. This symbiotic relationship between the prison and those it served is possibly unique in the annals of penology. Certainly, in Ireland, no other jail has had such an influence on the development of the country that now exists. Kilmainham Gaol opened in 1796 and closed its doors for the last time in 1924. In that time it had seen tumultuous change on this island, including a change from occupied territory to self-governance for the greater part of the island. It saw tragedy and triumph, witnessed events within its walls which were to change not just Ireland, but the world. When Kilmainham Gaol opened first, it had high hopes of being a reforming institution, but it opened under what many saw as a repressive administration. Indeed, over its working life this prison was to see many imprisoned there for petty and insignificant ‘crimes’ such as stealing a boiled egg, or failing to pay a train ticket! These crimes were often caused by need, by a lack of living conditions outside Kilmainham’s walls. This was especially true during the Great Famine (1845-50) when Kilmainham played host to thousands of Ireland’s starving, yet food continued to be exported. The administration’s desire to rid Ireland of its unwanted population saw the prison used as a depot from which convicts from all over Ireland – guilty of such ‘crimes’ as stealing a dozen potatoes during the Famine – were being sent to British penal colonies all over the world. 4,000 inmates were sent to Australia alone, where many thrived and massively influenced the development and future history of that great nation. There were times when people deliberately committed crimes to avail of Kilmainham’s hospitality, their only hope of survival in a world that did not care about them at all. Others were held for no apparent reason – ‘not of good character’, whatever that means, as the Government tried without success to control an increasingly truculent people. Again and again we see people imprisoned by a Government which had no idea of how else to pacify them. And it was this failure to pacify and appease the Irish that led to Kilmainham Gaol becoming an icon of the Irish struggle for civil rights and, ultimately, independence. From the United Irish rebellion of 1798 to the Irish War of Independence (1919-21) and beyond the Gaol held almost all the main leaders of resistance to British rule. Even those, like Davitt and Parnell, who espoused political means were held there. Of course, events in 1916 sealed Kilmainham’s fate as 14 men were executed in the Stonebreakers’ Yard for their part in the failed Easter Rising. Those executions turned that failure into an inspiration for those who followed, led to the country we have today – and Kilmainham’s iconic status. Now that we are within the ‘Decade of Commemoration’ our thoughts must surely turn to these moments in Ireland’s past when Kilmainham Gaol played a central role in the events that shaped our history. However, it is all too easy to concentrate only on these major events – the Lockout (1913), the Easter Rising (1916), the War of Independence (1919-21), the Civil War (1922-3) etc. – and, in the process, to lose sight of the other, equally important, events that preceded them and without which these major events may not have taken place. Kilmainham Gaol has been at the centre of Irish history since the foundation stone was laid in 1787. In its working lifetime this prison has seen 7 struggles against the governments of the day, 7 attempts to influence the future of this island we call home. But these struggles were not stand-alone events – they were all rooted in the people of Ireland and their desire for a better way of life and the right to self-determination, without outside influence or interference. When one looks through this proud Gaol’s registers one can see many names that stand out in the history of Ireland such as Robert Emmet, Anne Devlin, Thomas Francis Meagher, Michael Davitt, Charles Stewart Parnell, Countess Markievicz, Patrick Pearse, Thomas Clarke, Rosie Hackett etc. While these are all great people and deserve to be remembered with pride, they are only a few of the many who were in this prison. the Five Devils of Kilmainham - and all suffered there. It was the cumulative effect of that suffering, which frequently mirrored in microcosm the suffering of the population at large, that inspired the Irish struggle to throw off the yoke of oppression, to fight for the right to become a united and free nation which could determine its own future and manage its own affairs for the benefit of its own citizens. This website will record just a tiny fraction of these stories. Some are tragic – the 170 or more executions, the 5-year-old children – but all highlight the eternal struggle for survival and/or betterment that characterises the human condition. It is on the shoulders of the people on these pages – and the tens of thousands of others recorded in Kilmainham Gaol’s registers – that we stand today. Their hopes, aspirations, sufferings and struggles have made us what we are, and we owe it to them all not to forget them, but to remember them and to continue their struggle to better Ireland and those who live here, and to infuse this message to the world, wherever the Irish diaspora has spread. Many of Kilmainham’s prisoners were transported – 4,000 to Australia alone – or deported. But even abroad they did not give up their struggle and many continued to support ‘the old country’ in any way they could. Others brought their spirit to play on reforming the very countries they were exiled to, changing the world that sought to change them! In today’s materialistic world much of this reforming zeal has been lost as we struggle with financial and other problems across the world. Surely, in this year of the Gathering, we can do no better than to re-infect our returning cousins with this indomitable spirit of Ireland’s past, so that not just Ireland but the whole World will, in the future, be a better place for all. 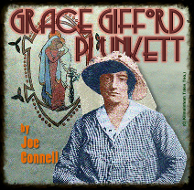 Grace Gifford Plunkett is the tragic bride of the Easter Rising, 1916, remembered because of her marriage to fiancee Joe Plunkett in Kilmainham Gaol on the eve of his execution there. But to find out more about Grace, read Joe Connell's account of her life here. Rosie Hackett is to be honoured by having the latest Liffey bridge named after her. Why? Micheal O Doibhilin gives the story behind this woman who worked so hard for Irish Labour, the down-trodden, and Irish freedom. A true Nationalist, Rosie's story is one which needs to be told. More here. Patrick Moran should have escaped from Kilmainham Gaol with Ernie O'Malley, Simon Donnelly and Frank Teeling in February 1921, but decided to put his faith in British justice, believing he would be found innocent at his trial for murdering a British officer. He was hanged in Mountjoy Prison in March 1921. Read more here. 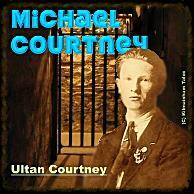 Volunteer Michael Courtney is one of the unsung heroes of Ireland's fight for freedom. His son Ultan has researched his life and written a brief biography of Michael Joseph Courtney, who was a member of F Company (Kilmainhamwood), 4th Battalion, Meath Brigade, IRA.